The Corpus Christi Downtown Management District (DMD) board of directors announced today that they have selected Alyssa Barrera as Executive Director of the District. Barrera succeeds Terry Sweeney who resigned last fall and will start her role on February 5th. “After a nationwide search, it was clear that Alyssa’s strong community roots, passion for downtown and technical experience made her the best fit for the DMD. We look forward to Alyssa’s leadership and vision to elevate our revitalization efforts,” said Harold Shockley, Chairman of the DMD board of directors. Ms. Barrera currently serves as the Business Liaison for the City of Corpus Christi, where she acts as the DMD’s lead city staff partner. A dedicated Corpus Christi native, Ms. Barrera earned her Bachelor of Business Administration and Master of Public Administration degrees from Texas A&M University Corpus Christi. 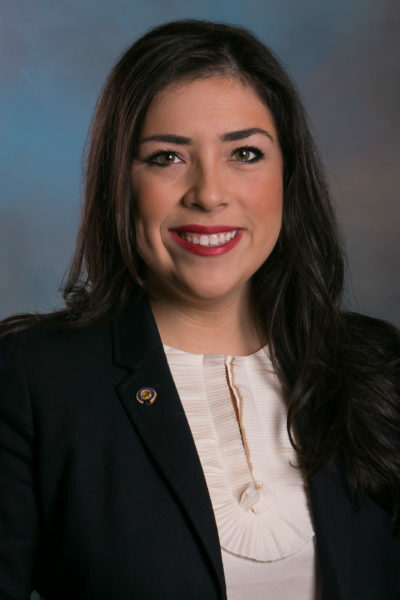 Barrera joined the city in 2011 as a graduate intern and worked her way up to the executive offices, becoming the Business Liaison in 2014. Barrera is certified as an Economic Development Finance Professional. Her community leadership experience includes organizations such as the Leadership Corpus Christi Alumni Association and Young Business Professionals of the Coastal Bend.